New App aids walking in the Belfast Hills. 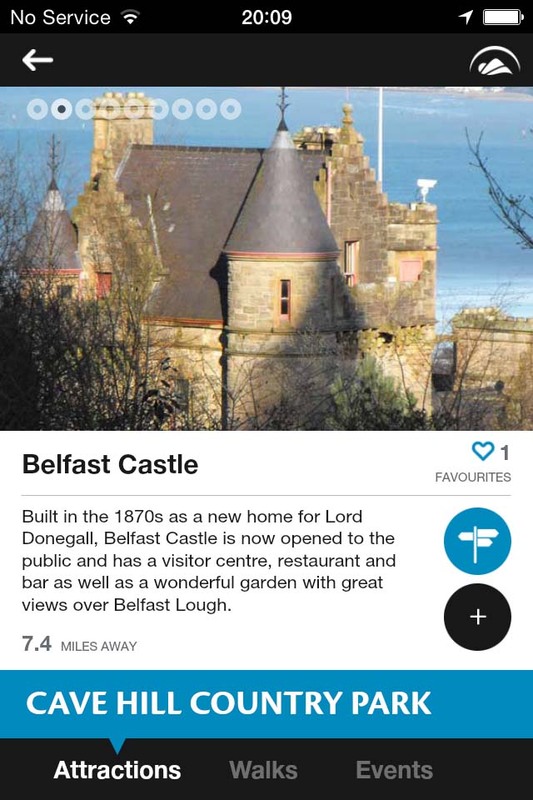 A new app has made it easier than ever to get out and about in the Belfast Hills this summer. The free app, developed by the Belfast Hills Partnership, gives people all the information they need to access the upland sites, enjoy the trails on offer and get up-to-date information on all the events happening throughout the year. 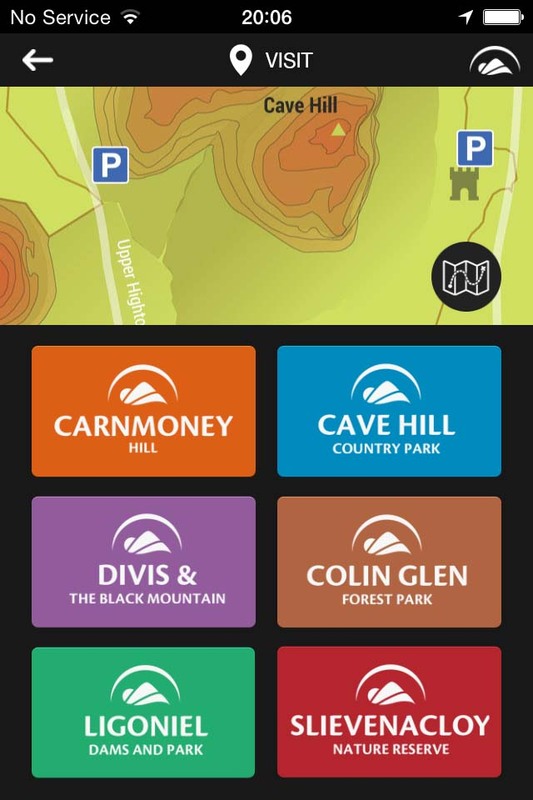 The new app lists every public walk on the main Belfast Hills sites including Divis & Black Mountain, Cave Hill Country Park, Carnmoney Hill, Slievenacloy, Colin Glen and Ligoniel Dams & Park. People can save their favourite walks, share maps and information and find out which walks will suit their abilities, how far a hills site is from their location and point their mobile phone to a hill and have it identified by the app. Funding for the app has come from the Rural Development Programme, Ulster Garden Village, NIEA and Heritage Lottery. Landscape partnership manager Lizzy Pinkerton said discovering the Belfast Hills had never been so much fun, or easier to do. She said: “This is a perfect fusion of technology with the outdoors and is part of our aim in the Belfast Hills Partnership to make the hills more accessible, and so reconnecting the urban population to the hills on their doorstep. “We have timed our app for release in the summer months so that everyone with a smartphone can reap the benefits of finding out how to access the various sites with directions at their fingertips and then enjoying the public walks when they get there. There is also lots of links through to our new website that has background historical and archaeological information on places like Ballyhagagan on Cave Hill and the new medieval house found last month on Slievenacloy at our big community dig. 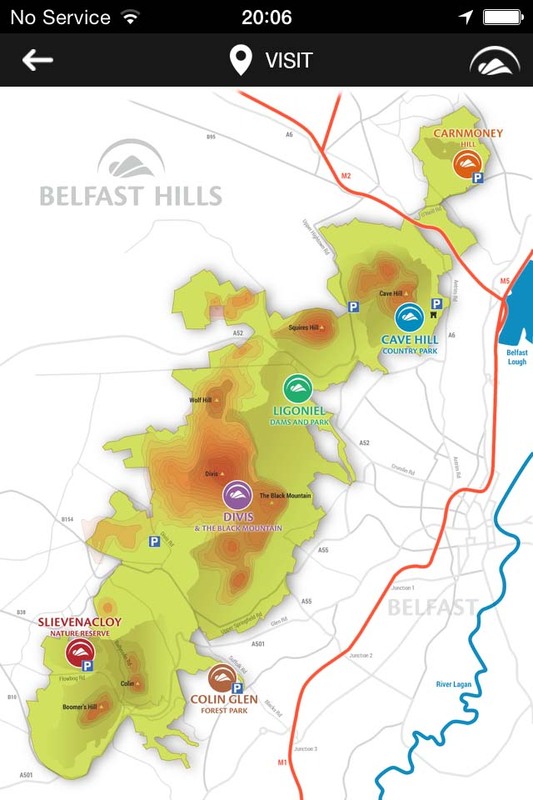 The Belfast Hills app can be downloaded on any smart phone and is also available through the App Store on IOS operating systems. Belfast Hills Partnership Staff will be at Visit Belfast on Thursday 9th July from 10.30am to 12noon with the app to demonstrate it and provide photo opportunities. Please feel free to pop over and see us! The app is called Belfast Hills. I hope you find it useful.